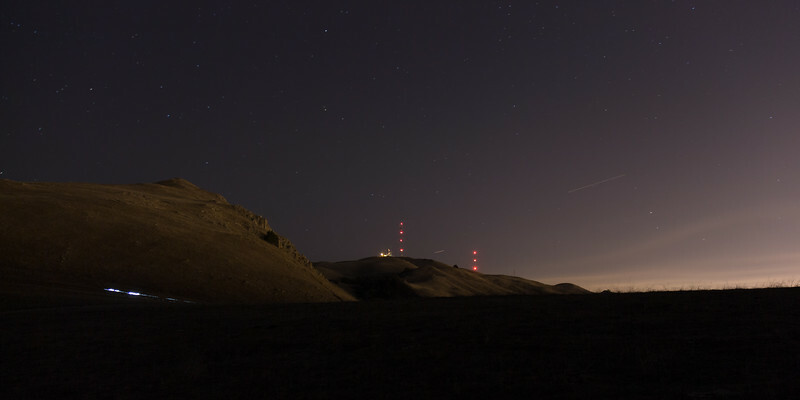 Went to Mission Peak for the first time since daylight savings time ended. Gosh, it was already dark by 6pm! Can't wait until summer. The early darkness seems to keep people away, so at least there's that silver lining! The weather was relatively mild, but a little windy. Instead of going all the way up to the peak, I went to the landing where the hang gliders take off from. These photos are from that location. Mission Peak from the hang glider launch location. Hiker's lights are coming down from the peak. Mount Allison is in the background.